JEE Main is one of the important Engineering Entrance Exams to get the admissions in engineering and architecture courses such as B.Tech, B.Arch, etc. It is a national level entrance exam. The Joint Entrance Exam Main is the first stage of the exam. The JEE Exams (Main & Advanced) is regulated by the CBSE(Central Board of Secondary Education) Board every year. The JEE (Joint Entrance Examination ) is a two-phase examination. 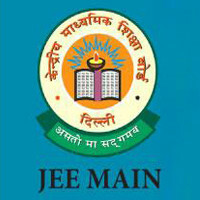 The JEE Main is the qualifying exam for the JEE Advanced Exam. The candidates who have qualified the Joint entrance exam (main) are only eligible to attempt the JEE Advanced. The Board provides the admissions in the B.Arch/B.Tech/B.E/B.Planning courses NITs, IIITs, and other engineering institutions through JEE exam. Through JEE Advanced Exam, IITs will offer the undergraduate engineering & architecture courses. Students who want to take the admissions in IITs can appear for Joint Entrance Exam Main. Joint Seat Allocation Authority (JoSAA) organizes the joint admission process for the 19 IITs, 32 NITs, 18 IIITs & 19 other Government Funded Technical Institutes (GFTIs). The top 2,20,000 candidates who have qualified in the main are eligible to take the Joint Entrance Exam (Advanced). JEE Main is a gateway to the candidates who want to seek the admissions in the undergraduate engineering & architecture courses. Joint Entrance Exam Mains 2018 is the most important exam for the candidates to do the higher education after the completion of 12th or intermediate. The CBSE has released the JEE Main 2018 Notification right now. Most of the candidates are searching in need of JEE Exam 2018 details are on the right page. The details of JEE Entrance Exam (Main) such as Exam Dates, Eligibility, courses offered, Application Form, Result, Rank Card, counselling, etc. Candidates can get the complete information regarding the JEE 2018 from the starting of the preparation until getting the admissions through this article. The courses offered to the candidates through JEE Entrance Exam is as below. The JEE Main 2018 Eligibility such as qualification, age limit, etc is as follows. Candidates should have passed 12th or equivalent exam in PCM/PCMB stream with 50% marks. Aspirants have to attempt the exam only three times. Applicants who have qualified Intermediate or 12th or equivalent exam in 2014 are not eligible. To get the admissions in the IITs, NITs, and IITs, candidates have to secure 75% in the 12th class and 65% for SC/ST candidates. The Diploma holders are also eligible to apply for the exam. The date of birth should fall on or after 1st October 1992 for general candidates and 1st October 1987 for SC/ST/PWD aspirants. JEE Main 2018 Online Application has to be filled and submitted through online mode only. The JEE 2018 Application Form are available in online from 1st December 2018 to 1st January 2018. Candidates who have made mistakes while filling the Joint Entrance Exam Main 2018 online form have an opportunity to correct them. The application form correction is the last date for the candidates to clear the errors in the online application. The JEE Main 2018 Correction facility is available from 9th to 22nd Jan 2018. The JEE Application Fee for the applicants is as given below. The JEE 2018 Syllabus is very important at the time of preparation for the exam. Candidates have to go through the entire syllabus once before attending the Joint Entrance Exam. The JEE Syllabus is available in online mode. The JEE Main Syllabus includes physics, chemistry, maths for engineering aspirants and aptitude test, mathematics & drawing for architecture aspirants. After checking the syllabus, candidates have to plan and prepare accordingly for the exam. The JEE Mains Previous Papers are very helpful in improving your skills which are useful in cracking the exam. Candidates have to improve your skills such as reasoning, speediness, etc. By practising the previous year question papers. So, aspirants can download JEE Main Sample Papers through the links provided here and utilize them in your preparation. The JEE Mains 2018 Exam Pattern is as follows. JEE Main Paper 2 for B.Arch/ B.Planning. The exam consists of two papers (Paper 1 & Paper 2). The modes of the examination are offline and online. Aspirants can opt for either one or both. Candidates who want to get the admissions in B.E/B.Tech has to apply for Paper-I. Applicants who want to get into architecture courses such as B.Arch/B.Planning has to apply for Paper-II. Also, interested candidates can apply for both the Papers. The exam is in offline and online mode. The duration of the exam is three hours. The negative marking is one mark for each incorrect response. The exam is of objective type multiple choice questions. The exam is in offline mode. The duration of the exam is 3 hours. One mark is deducted for each wrong answer. A large number of students appear every year, the competition is increasing from year to year. Candidates who want to crack the exam have to implement the above tips. Thousands of students will appear for the exam this year also to get the admissions in the best colleges/institutions. So, we have provided here the preparation tips for the Joint Entrance Exam. Joint Entrance Exam Main is popular & also the toughest exam. All the aspirants who want to crack the exam have to start the preparation as soon as possible. So, we have provided here the preparation tips for the Joint Entrance Exam. Try to solve the Previous year Question Papers. Analyze the weightage of questions, exam pattern, etc. Clear about concepts and formulas. First, solve easy questions then go to tough. More concentrate on speed & accuracy to reach success. Solve easy questions first then solve tough ones. The JEE Main 2018 Hall Ticket is available through online only 25 days before the exam date i.e., in March 2018. Candidates who have applied for the exam have to download the JEE Admit Card. The candidates have to present it on the day of the exam. Aspirants have to enter the roll number & date of birth to download the JEE Mains Hall Ticket. The JEE 2018 cut off marks for the candidates to get the admissions in B.Tech/B.E/B.Arch/B.Planning is as given below. The cut off depends on various factors such as no. of candidates, the difficulty level of the exam, etc. The JEE Answer Key 2018 is also available here. The JEE Mains 2018 expected cut off marks for different categories is as follows. The JEE Main 2018 Result is released on 30th April 2018 by the officials. All the exam appeared candidates have to get ready to check the JEE Result 2018 through online. Candidates have to enter the login details to check & download the result and rank card. As the JEE Main 2018 Score Card is mandatory for the candidates, who want to attend the JEE 2018 Admission Process. The Joint Entrance Exam Main 2018 Counselling will be conducted in the month of July 2018. JoSAA Counseling Process is conducted by the Joint Seat Allocation Authority. The candidates who have attended the JEE Main or both Main & Advanced are eligible to attend the JEE Mains 2018 Web Counseling. The counselling will be completely on the basis of the merit list of the qualified candidates. Candidates have to register for counselling on the scheduled dates and have to opt the colleges and branches of their preference. The seat allotment id completely on the basis of the All India Rank, choices filled & seat availability, etc. Aspirants can get the admissions in the Indian Institute of Technology (IIT), National Institute of Technology (NIT), Indian Institute of Information Technology (IIIT) & Government Funded Technical Institute (GFTI) & others. The admissions will be given to the qualified candidates on the basis of All India Rank (AIR), Category wise Rank, no. of seats available, etc. The seats are allotted to the candidates based on the rank and score in various IITs, NITs, IIITs & various participating colleges of Joint Entrance Exam 2018. The 12th class marks are not taken into consideration in calculating JEE All India Ranks (AIR). No minimum criteria of 12th class or intermediate percentage to appear for the exam. Candidates have to at least score 75% in the 12th class and 65% for Sc/ST aspirants or be in the top 20 percentile in the 12th class. Aadhar Card is compulsory for the candidates to apply for this exam. Gujarat, Madhya Pradesh, Haryana, Uttarakhand, Nagaland, Odisha and other institutions have joined. We have covered here the complete details of the JEE Main 2018 Exam through this page. Candidates can also get the further information on this page as soon as possible. Our unit will update here regularly. For the complete guidance regarding the engineering entrance exams, candidates are requested to stay tuned to this site.